Because many homeschooling families are single-income households, purchasing curriculum can put a strain on the budget. Homeschoolers have a reputation for being frugal. There are many ways to save money on homeschool curriculum. Two of the most common are buying used curriculum and selling your gently-used books and supplies to fund purchases for the upcoming school year. One thing that is important to know before you sell used homeschool curriculum is that many items are protected by copyright laws. Most teacher’s manuals and non-consumable students books can be resold. However, it is usually a violation of the publisher’s copyright to sell consumable texts, such as student workbooks. These are intended to be used – or consumed – by one student. Making copies of the pages, having your student write the answers on paper, or other methods of keeping the textbook unused for the purpose of reselling it is a violation of copyright. Some CD-ROMs are also protected by copyright laws and are not intended for resale. Some larger groups hosts sales that are set up similar to a consignment sale. Each seller has a number. They mark their used curriculum with their number and the price before dropping off the items. The organizers then group everyone’s curriculum together by subject and track the sales of each consignor. Unsold items can be picked up after the sale or donated. Sellers usually receive payments by mail within a week or two after the sale closes. If your local support group doesn’t host a used curriculum sale or you don’t have an active support group, there are several online options for buying and selling used homeschool books and supplies. Ebay is a popular source for selling homeschooling curriculum, but it's not always the best source for buyers since the items go to the highest bidder. There are several online resources for selling homeschool curriculum flea market style - meaning that the price is listed by the seller and no bidding is involved. HomeschoolClassifieds.com is a large site for buying and selling new and used homeschool materials. It's also useful for finding and announcing homeschool groups, activities, and events. The Well Trained Minds site has a classified section on their forum. You must be an active, registered user of the site with at least 50 posts in the forum in order to list items for sale. 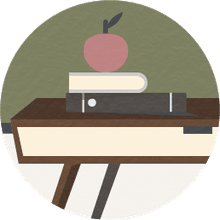 Vegsource is a website and forum primarily for vegetarians, but they also feature an active, popular buy and sell forum for used homeschool curriculum. SecularHomeschoolers.com features a forum with buy, sell, and swap pages. Only registered site members are allowed to post. Aussie Homeschool is a free online community for Australian homeschool parents. Wherever you choose to buy and sell, remember that on most forums and free sites, all transactions are handled privately between the buyer and the seller. Therefore, you should choose the sites you use carefully and do some investigating to ensure that there haven't been complaints about a particular seller.